You would not think that there is a problem with trees or forests in a country where 2/3 of the land is considered to be forest. The situation is not black and white when money is tight and most people live out of agriculture and the heating is generally done by wood or charcoal. For most people agriculture might be only way getting at least some money and farming wi ll also provide nutrition for farmer’s family. When it comes to heating, charcoal is the cheapest way and in many cases the only way to get heat. It is also the traditional way of cooking. Mamas don’t know other ways. Gas is expensive and some areas don’t have any power lines and where they do, there are constant power cuts to make usage of electric stoves unreliable. With education, people understand that in a long run it will be destructive to the environment and makes desertification possible. Desertification means that land is no longer good for farming or it is hard to grow anything. It will also make grazing harder for animals. Planting trees in residential areas such as Madale, trees reduce the amount of dust, prevents erosion, tie up carbon dioxide from air and also one day provide food. 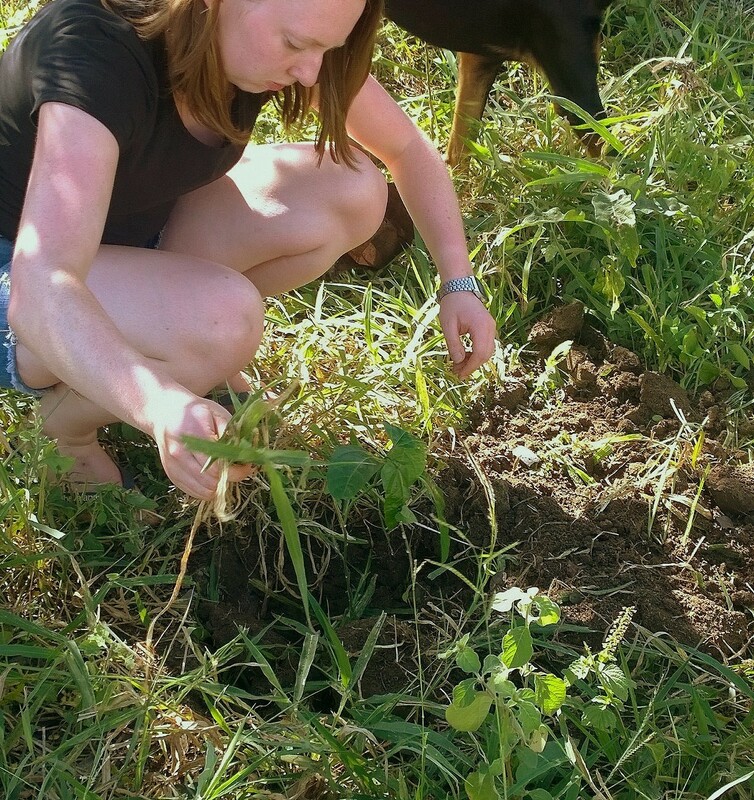 Amy, one of our volunteers helped John to plant trees at Tumaini nursery school’s yard in Madale village. Planting consisted variety of trees for example passion fruit, mango and Moringa. First thing was to decide where to plant the trees. You might think it is easy, because there is lot of free land, but it is not so. Not any piece of land is suitable. Firstly you need to consider what kind of soil there is and is it possible to dig a hole for the trees. Secondly you check that water does not just run through and is there any shade for the young trees. Different trees have different kind of needs; Mango tree needs lot of space to grow, passion fruit is usually plant needs support to wine itself on another tree and not in direct sunlight and Moringa is quite easygoing and demands little water.